The treaty of friendship between the Roman Republic and Ptolemaic Egypt is 100 years old. This year, land in Liguria and Gallia Cisalpina was distributed among Roman citizens, as well as among Rome’s Latin and Italian allies. The censors concluded the census and registered 269.015 Roman citizens. Senators and equites that were punished were also relegated to the aerarii, a rather obscure class that ranked below the equites. These men were also removed from their tribus and enrolled into one of the less prestigious urban tribes. The consuls of this year were Lucius Postumius Albinus and Marcus Popilius Laenas. Both were given Liguria as their province, but only Laenas marched north at the beginning of the war season. Albinus was first given an assignment in Campania in the vicinity of Capua. The praetor Gaius Cicereius was sent to Corsica to continue the war there. Cicereius had been Scipio Africanus’ scribe. He managed to put down the Corsican rebellion, defeating the rebels in a pitched battle and taking hundreds of prisoners. After the previous rebellion on Corsica in 181 BCE, the Romans had demanded 100.000 pounds of wax, and now Cicereius increased this to 200.000 pounds. During the battle, the praetor had promised to build a temple for Juno Moneta. Upon his return to Rome, Cicereius was denied a triumph by the Senate and chose to hold a private triumph on the Mons Albanus instead. 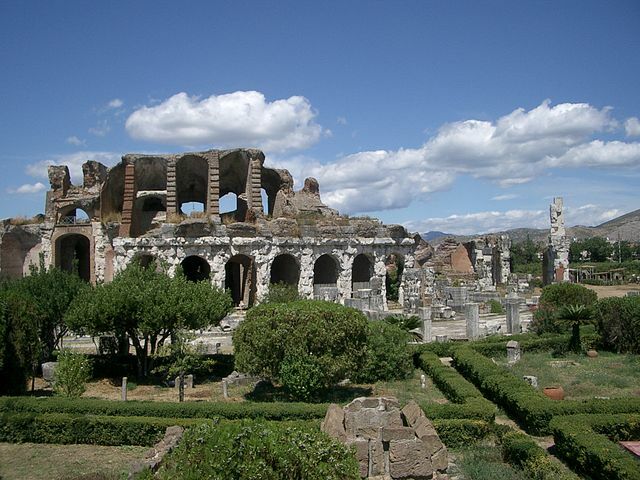 Amphitheatre in Capua from the time of Augustus (photo: Rico Heil, CC BY-SA 3.0 license). During the Second Punic War, the rich city of Capua had defected to Hannibal (see 216 BCE). The Romans had recaptured it in 211 BCE and had punished the Capuans severely. 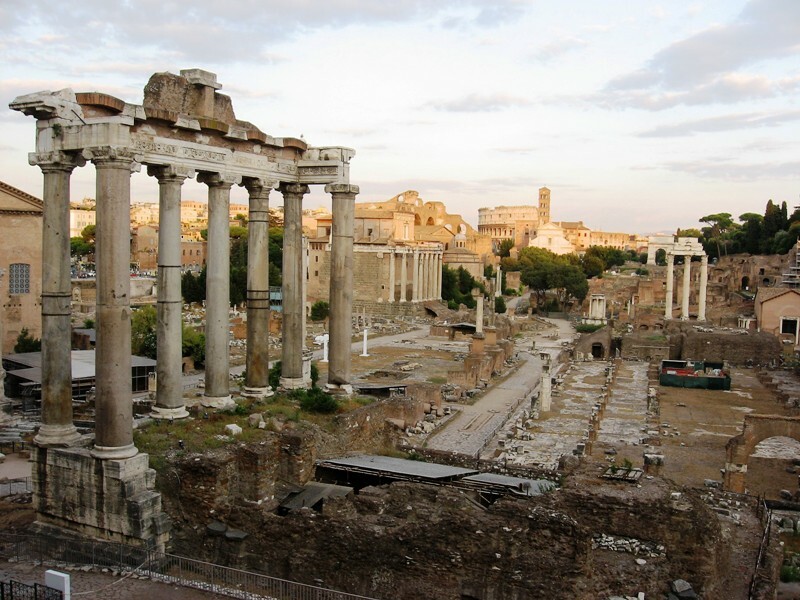 Even though the city itself was spared, all of its territories became Roman public land or ager publicus. In the last decades, private landowners had been encroaching on this state-owned land, occupying parts of it. The consul Albinus was now ordered to solve this problem by clearly fixing the boundaries between the ager publicus and the privately owned fields. This was a fairly simple assignment, but the consul showed some particularly poor behaviour while travelling south. In order not to unnecessarily burden Rome’s Latin and Italian allies, travelling magistrates were provided with tents and pack animals by the state. In cities, they usually slept in houses owned by personal friends. But Albinus held a grudge against the citizens of Praeneste (modern Palestrina). They had shown him disrespect in the past – or so he believed – and he therefore now ordered them to give him an official welcome when he arrived and to provide him with lodging and fresh pack animals. His demands were excessive, but since the Praenestans did not dare complain, they unfortunately set a precedent. Also this year, the censor Quintus Fulvius Flaccus had a temple consecrated for Fortuna Equestris. He had promised such as temple during a battle in Spain in 180 BCE. His cavalry or equites had played a decisive role during the battle, hence the dedication to Fortuna Equestris. In order to embellish his temple and to make it one of the most beautiful in all of Rome, the censor had travelled to Bruttium to confiscate half of the marble roof tiles of the famous temple of Juno Lacinia (or Hera) in Croton. It was a clear-cut case of “what was he thinking!”. When the Senate learned of the theft – for that was what it was – it responded in anger. A censor, who was charged with monitoring and enforcing public morals, was now accused of stealing and of sacrilege. A censor, who was charged with building and restoring temples, had now actually desecrated one. And a censor had done what not even King Pyrrhos of Epirus or Hannibal the Carthaginian had dare to do in the past. It seems that Flaccus’ actions were condemned unanimously. The Senate ordered him to take the roof tiles back to Croton. Meanwhile, the consul Marcus Popilius Laenas had arrived in Liguria with a fresh army, eager for battle. The consul advanced on a fortified town that Livius calls oppidum Carystum. A large army of Ligurians from a tribe called the Statellati had gathered there. The Statellati do not seem to have shown any hostility towards the Romans previously, but when the consul advanced on their town, they marched out to meet him. A fierce battle ensued, and after three hours of fighting, it was still undecided. Then the consul ordered his cavalry to charge the enemy from three sides. The Roman horsemen broke through the Ligurian lines and routed them. Ligurian casualties numbered in the thousands, but Livius writes that the Romans lost 3.000 men themselves as well. The Statellati now surrendered unconditionally (an action called a deditio in Latin). They were hoping to be treated leniently, but Laenas had them disarmed and destroyed their town. He then sold the Statellati as slaves and auctioned off their possessions as well. The consul was very pleased with himself and sent a letter about his achievements to the Senate. Contrary to his expectations, the Senate responded angrily when the letter was read out by a praetor. The senators felt that Laenas had engaged in an unprovoked war with a people that had never been hostile to Rome. And when these people had surrendered, he had treated them cruelly. The consul was ordered to buy back the slaves from their owners and set them free again. He was instructed not to leave his province until all of the Ligurians had been returned to their homeland. But Laenas refused to obey the Senate’s decree (senatus consultum). Instead, he travelled to Rome and convened the Senate in the Temple of Bellona. There, he took it out on the praetor who had read out the letter. The consul, using his imperium, actually fined the poor man and demanded from the senators that they retract their decree. But the senators stood firm and ultimately, the consul was forced to leave the meeting and return to Liguria. The fact-finding delegation led by Gaius Laelius returned from Macedonia this year. Laelius and his companions reported to the Senate that they had not been able to speak to Perseus. Some of the courtiers had claimed that the king was absent, others that he was ill, but Laelius believed that Perseus simply refused to meet with the Romans. A new war with Macedonia was now looming. The Senate furthermore welcomed embassies from Aetolia, which was still riven by civil war, and delegates from Thessaly, who reported on the situation in Macedonia. Marcus Claudius Marcellus, presumably the consul of 183 BCE, tried to settle the differences among the Aetolians in Delphi. Marcellus actually succeeded in his mission, and the two sides exchanged hostages to ensure that the peace agreement would be honoured. Around this time, a meeting of the Achaean League was held in Aigion, and Marcellus made sure he could attend it. Addressing the Achaeans in a speech, he praised and thanked them for their continued loyalty. The anti-Macedonian sentiments in his speech were obvious, and it was clear that the Romans were touring Greece to make sure that they would have ample support if a new war with the King of Macedonia were to break out. The Romans even sent a delegation to the court of the Ptolemies in Alexandria, Egypt, to renew the treaty of friendship which had been concluded exactly one hundred years previously. 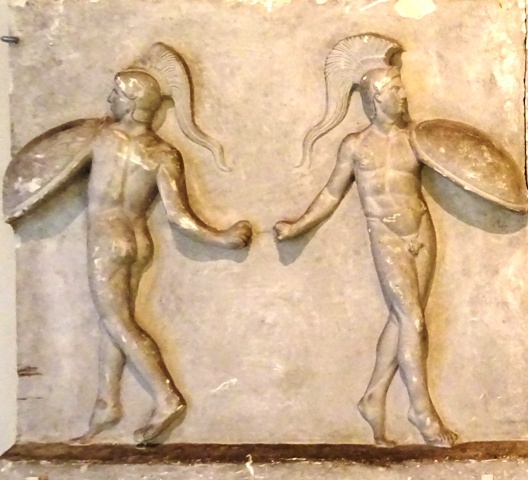 Envoys from the new Seleucid king Antiochus IV were at the same time welcomed in Rome. Since Antiochos had spent over a decade in the capital as a hostage, they were given a warm welcome by the senators. Roman-Seleucid friendship was confirmed. 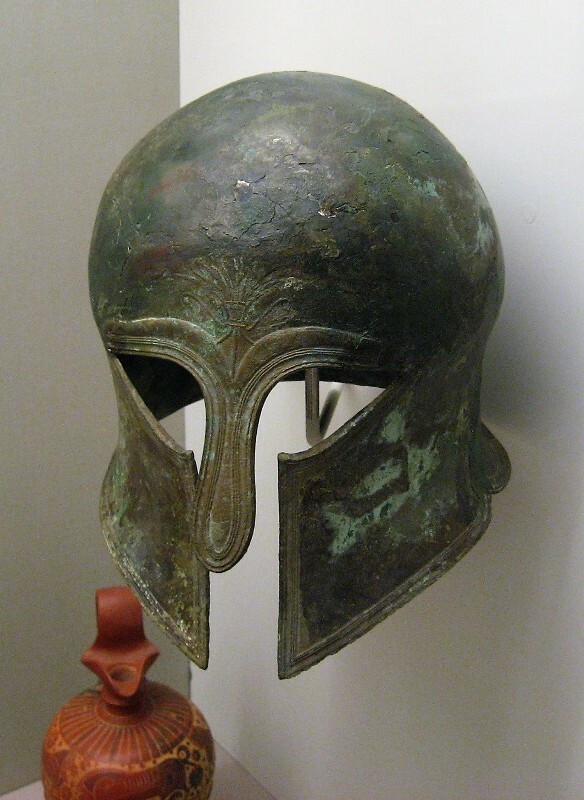 Antiochos would not support Perseus if it came to war with the Romans. And such a war seemed inevitable now. Livius, Ab urbe condita, Book 42.1-42.10 and Book 42.21. Probably not the one on the Capitoline Hill, which was much older. See Rome: Santa Maria in Aracoeli.